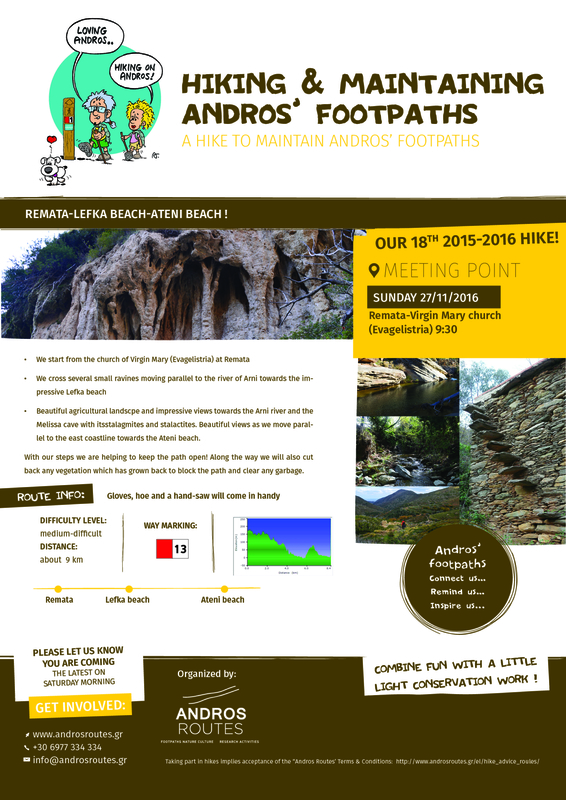 Join us for one more enjoyable hike to maintain the paths of Andros on the route Remata-Lefka and Ateni beaches ! Beautiful agricultural landscape and impressive views towards the Arni river and the Melissa cave with its stalagmites and stalactites. Beautiful views as we move parallel to the east coastline towards the Ateni beach. our 18th 2015-2016 hike ! Please let us know you are coming the latest on Saturday morning!